European Kitchen Design is helping clients bring their dream kitchens to life. We are here to help clients bring their dream kitchens to life. We are one stop shop for your complete new kitchen or bath. 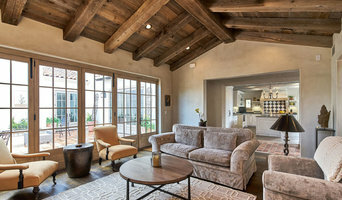 Sullivan Design Studio is an award-winning interior design firm located in Silicon Valley/San Francisco Bay Area. Architectural firm for residential and commercial projects with a strong understanding of sustainable design. 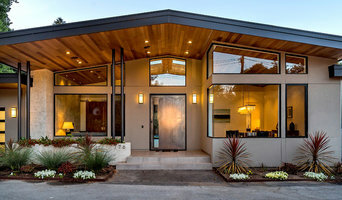 Suba is a Bay Area Architecture and Interior Design firm focused on connecting and collaborating with you, our Clients. We listen. We communicate. In fact, the back and forth process with you in design is essential for getting it right the first time. Each new project offers a unique set of circumstances and scope of work fueling creation of an original design. We don't do "cookie cutter" here. No matter what style of home you own or desire, we work closely with you to interpret your vision and set achievable goals. We then team up with Engineers, Contractors and the building trade in guiding your project through the permitting process and final construction. We take every project seriously and we make it fun. The firm, Suba, was created by Architect and Interior Designer, Suanne Bassett. She has over 20 years of experience in the design field. 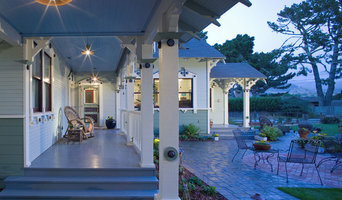 Her love of light, color, texture and indoor/outdoor living is evident in her designs. Suanne holds a Masters degree in Architecture from the University of California @ Berkeley and undergraduate degrees in French and Sociology. She became a licensed Architect in New York in 1993 and then in California, the next year in 1994. Suanne worked on large public building projects including an IBM training center in New York, the Dallas Museum of Art, a hotel in Singapore, a Mid-town Manhattan high-rise and Prada retail boutiques before starting her own firm in residential design. This remains the focus of her work today. Although trained as a Modernist, Suanne enjoys working with clients on original designs in all styles. HDA is a renowned, dynamic firm with an unusually diverse range of experiences. Our success has been based upon innovative solutions that come from thoughtfully responding to our client, project constraints and inspiration of the context. The firm integrates a very broad background into each project with the knowledge that the most fulfilling design is in the poetic resolution of a set of spatial needs. The success of HDA projects is based upon an open approach where design develops and evolves through a rich process. Sketches, models, 3D imagery and diagrams all form sources of inspiration and communication essential to realizing a project's full potential. Clients are afforded the opportunity to engage the design process through an approachable way. We customize the meetings and presentations in whatever speaks most clearly to them.